Hi pinups! I did start this series around a year ago, but of course, I drifted off and couldn't keep up and made it all a bit over complicated! But I'm bringing them back and I'm going to be keeping these posts short and sweet, just sharing what I've been loving over the month. 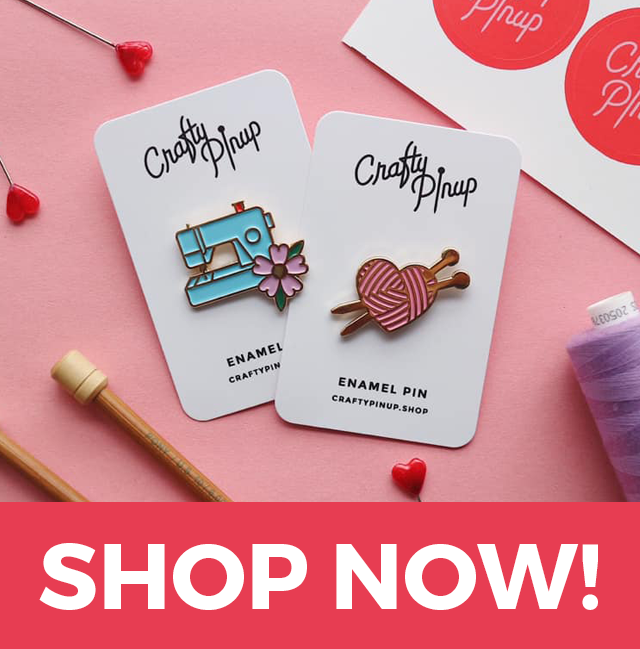 January is all about super cosy dressing, a growing beret collection and tooting my own horn with my crafty enamel pins. Hi pinups! 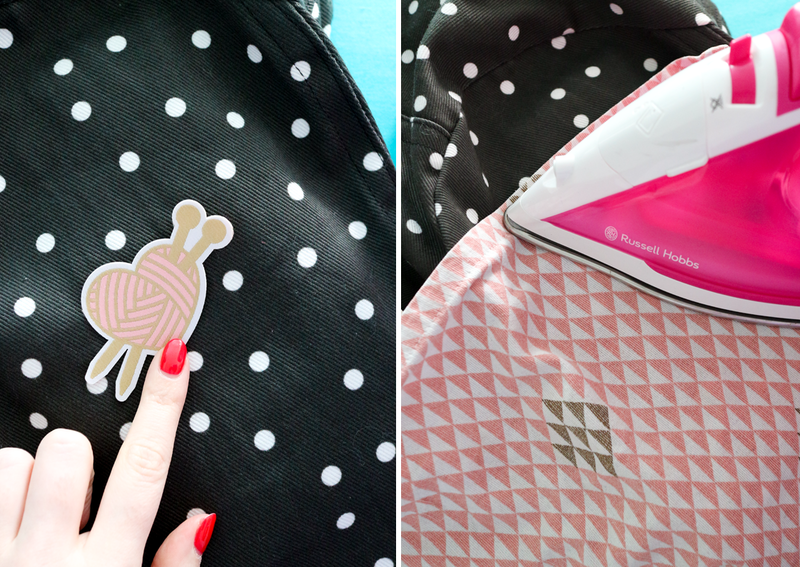 I'm sharing a quick 'how to' with you today with the launch of my new iron on woven patches. Patches seem to be increasing in popularity and are a great way to customise your clothing or even hide stains or cover holes and faults in your clothes. 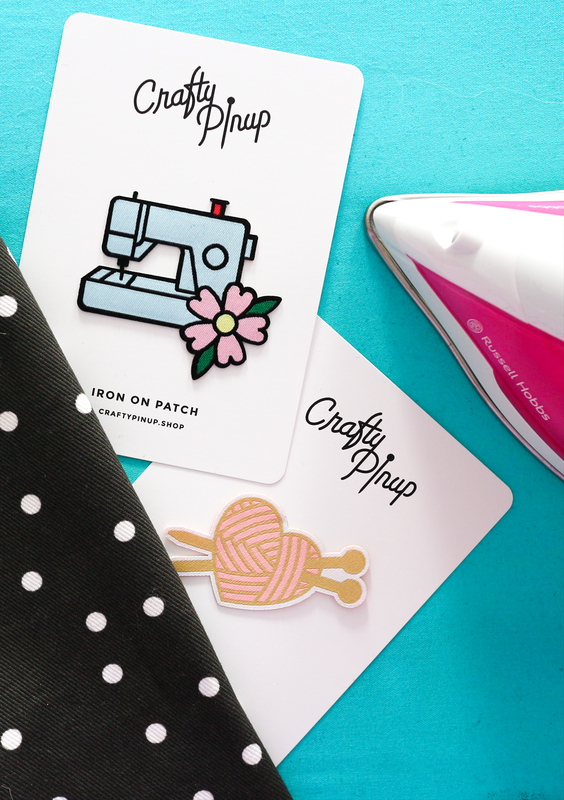 My Crafty Pinup woven patches have an adhesive glue backing, enabling you to iron on your patch, but they can also be sewn in place if you'd prefer to do that for extra security. Lay your chosen fabric on your ironing board or heat resistant surface. Do your best to smooth out and position the garment in a way so the fabric is as flat and smooth as possible on a hard surface. For the sleeve of my denim jacket (a tricky placement) I stuffed the sleeve with a folded up tea towel (or you could use a tailor's ham) to create a flat and firm surface to iron on. Arrange your patch in place with the adhesive side down, making sure to double check your placement. Turn your iron to a reasonably high setting to suit your fabric. Mine was at it's highest level. Place a tea towel over your patch, being careful not to disturb the position of it. Press down firmly with your iron on the patch for about 15 - 20 seconds. Leave to cool. I repeated this step a couple of times, as my patches have a few sticky out bits, some parts need extra attention to make sure they are secure. Run your finger over the edge of the patch carefully see if any sections are loose. If you are unsure as to the stability of your patch (perhaps it's on an area that will be bending), then I would recommend adding a couple of stitches for extra security. Iron on patches are designed to be permeant but they can loosen over time depending on how often you wash the garment or area you patch is attached too, plus the added wear & tear. If your garment needs frequent washing, I would recommend hand washing in cool water and air drying. But securing your patch with stitches would also help the longevity of your patch. 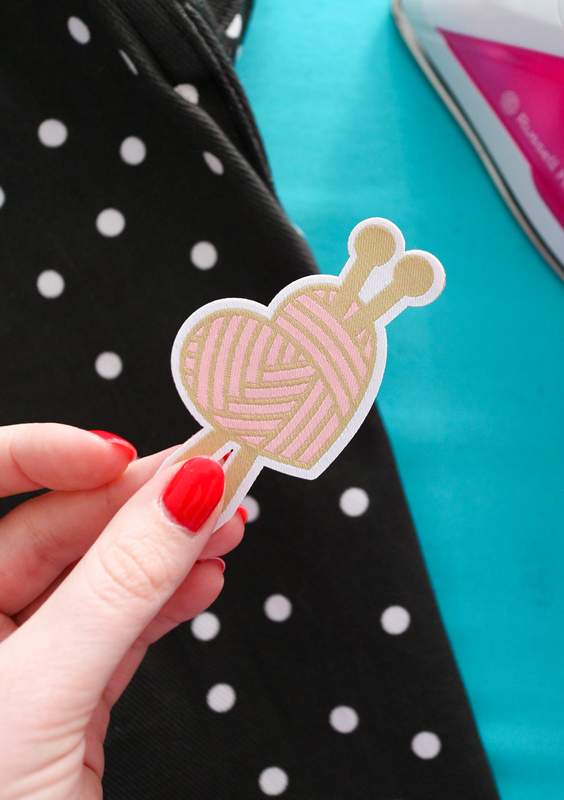 I hope you've found this post on how to iron on patches helpful and like my new crafty designs! It's still so strange to see products I've designed become a physical product, it's all so exciting. 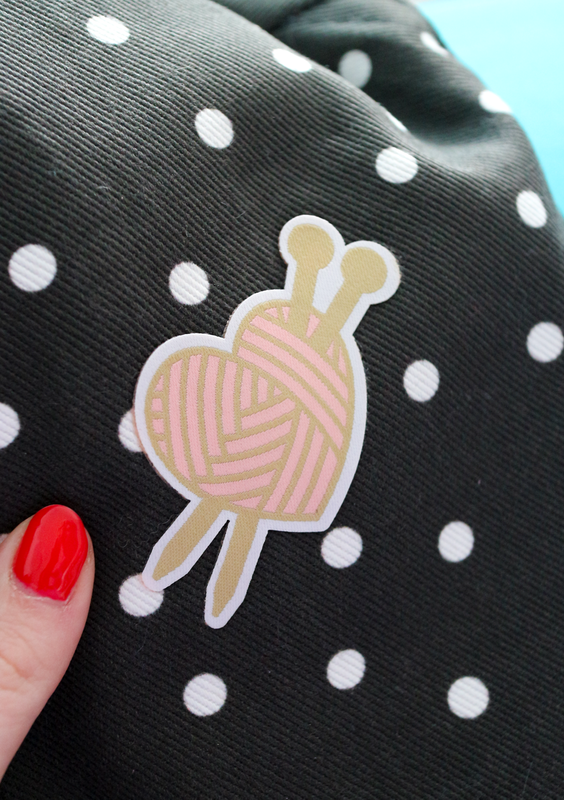 To celebrate the launch of my new woven patch designs, there's an introductory bundle offer! Buy the two patches together and save 20%, for a limited time only. Let me start by telling you about the coat in this post... 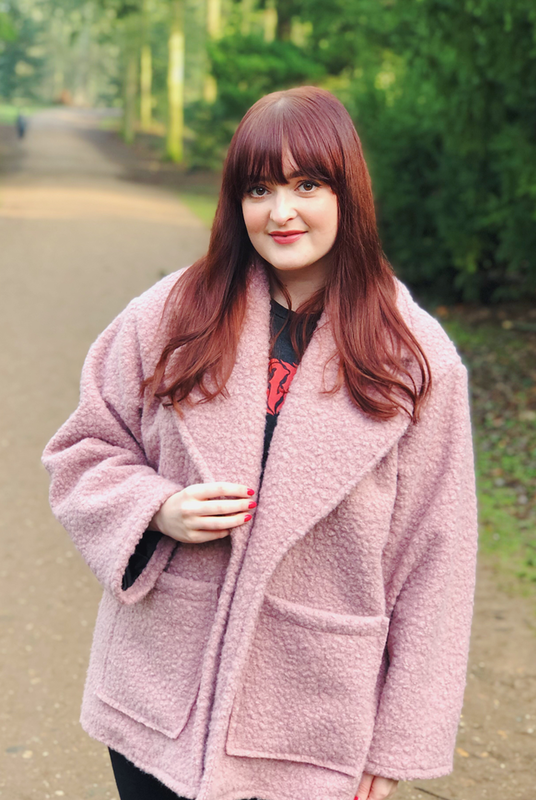 I've been browsing teddy coats on the highstreet for months now and have come close to buying one so many times, but I had it in my head I'd like to make one (see my 2019 Make Nine for more). 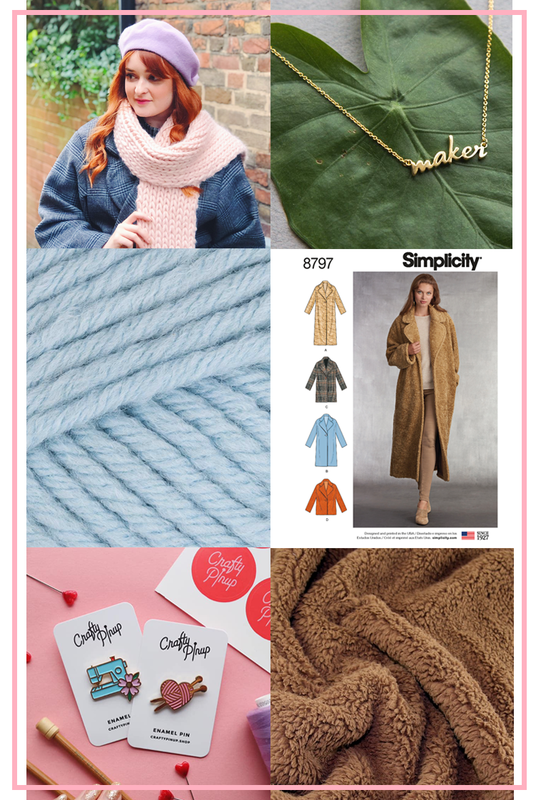 Last month I made the Simplicity 8797 new season coat pattern and at the time I thought the pattern would work well for a teddy coat too. Then I spotted this beautiful rose teddy coating fabric in the sales (now sold out, but I also had my eye on THIS brown sherpa fabric) and put my sewing plans in motion! 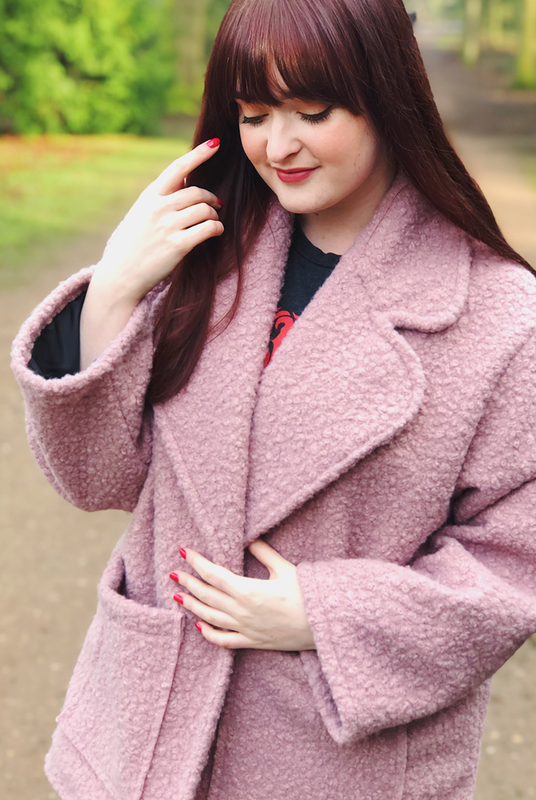 I really enjoyed the Simplicity 8797 coat pattern so was very happy to make it again, knowing the two coats would be totally different. 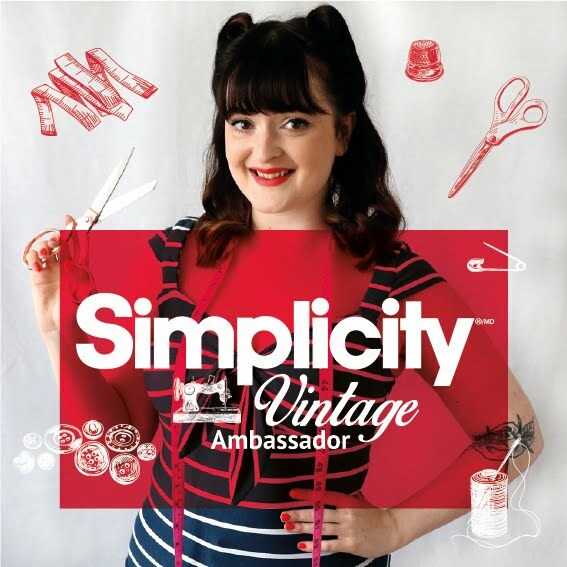 For my full sewing pattern review of the Simplicity 8797 pattern, go HERE. I should also point out on this particular make, I created my own patch pockets and haven't included a fastening. I might add a popper at a later date, but I like how the coat looks open. Plus with a wrap around bag and a scarf, I can be pretty tucked in and snug so the fastening isn't essential for me. So I'm no newbie when it comes to sewing coats, but I've never chosen to sew a complicated style. 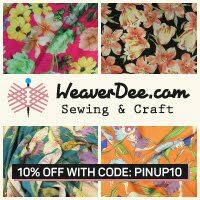 I believe that you can do a lot with a simple pattern, it's all in your fabric choice! When I share a coat I've made on social media, there's always some comments that pop up from people saying sewing coats intimidate them and they aren't at the skill level to attempt one. Rubbish! Whilst sewing a coat is a huge achievement for any seamstress, mine are all deceptively easy. In fact I'd say the coats I've sewn so far are way easier than 90% of the dresses I've made. 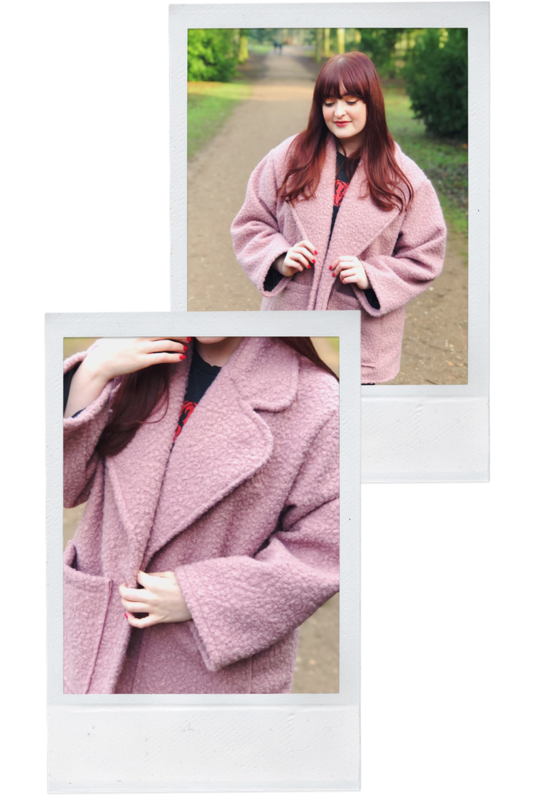 For instance this pink teddy coat took me half a day and cost under £30 to make. As this style is oversized, fit and sizing didn't really come into it which is normally a big factor in dressmaking. - Start simple. Choose a pattern with a simple collar, minimal pocket fuss (e.g. welt pockets can be tricky, but in seam or patch pockets are pretty simple!) and an easy fit (e.g. no darts or shaping). 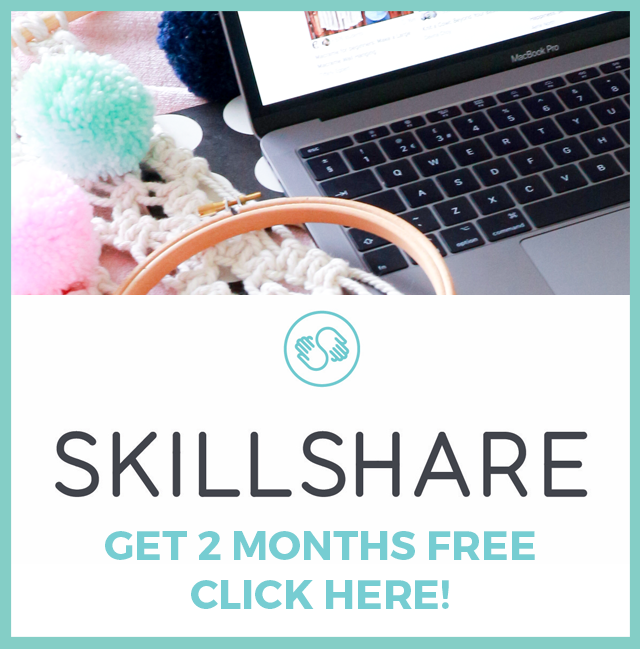 - Pick a fabric that you won't be too precious with or is that is too tricky to sew with. A simple plain wool blend fabric like THIS would be a great place to start. - Get yourself a walking foot. 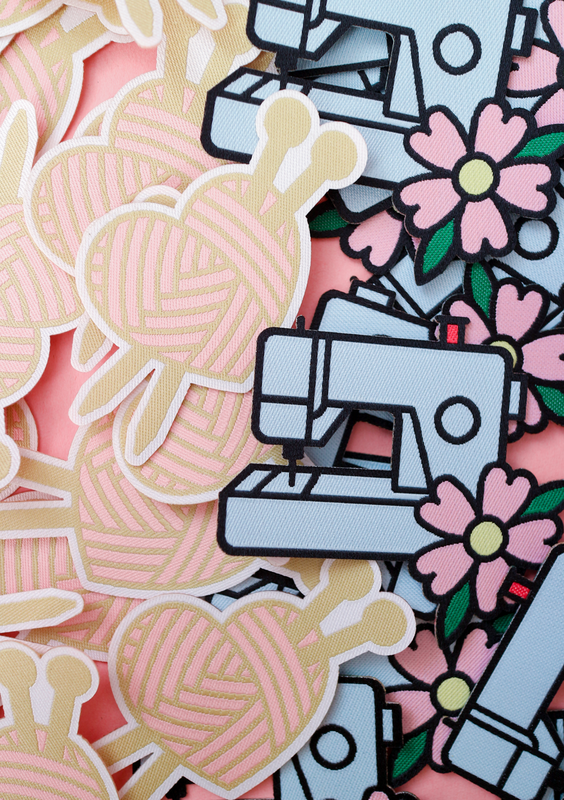 Using a walking foot (aka even feed foot) on your sewing machine can make all the difference. The foot helps to guide your bulky fabric through the machine making sewing a breeze. But as always, make sure you're using a suitable needle for your fabric too. - Be confident! If you can make something like a dress or a jersey top, you already have awesome sewing skills. Believe in yourself and get stuck in. 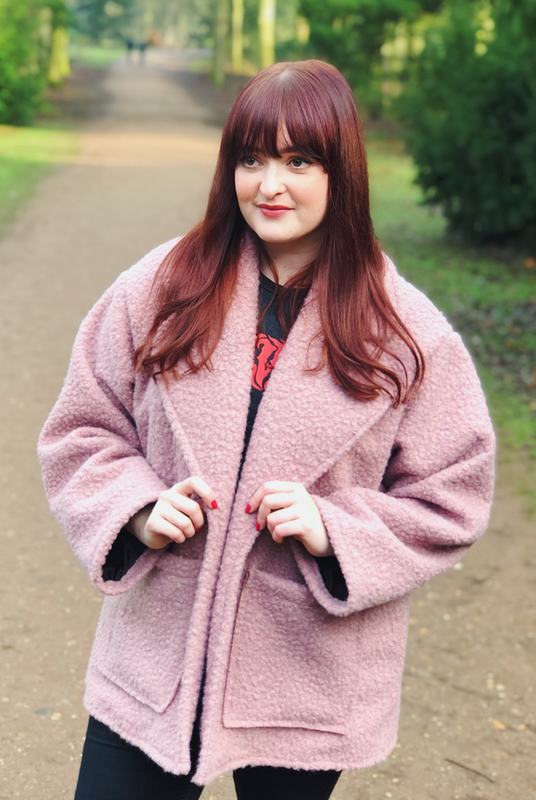 Remember, no matter how secretly easy sewing a coat can be people will always think it's impressive that you can make a coat, so get out there and own it! Have you got a coat on your sewing list? I think I should probably stop for the time being and start thinking about some Spring sewing... we'll see. Happy New Year, pinups! It's time for a brand new Make Nine! 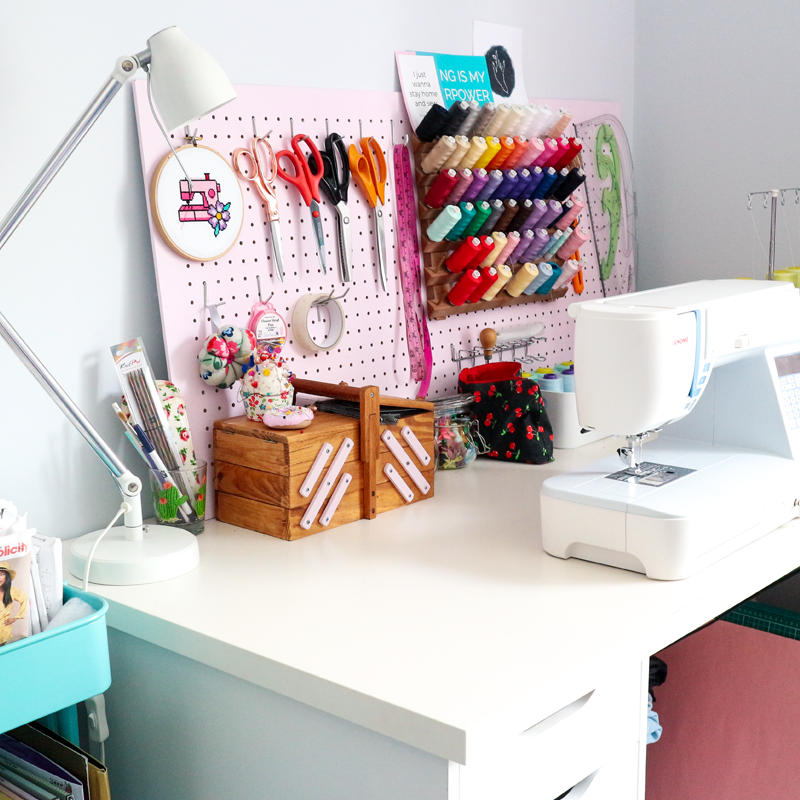 This sewing challenge is doing the rounds again this year and after a pretty successful 2018 Make Nine, I'm excited to plan some new projects. 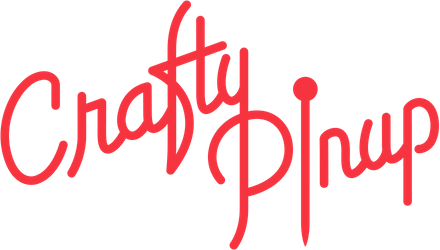 I'm doing things a little differently this time so instead of listing 9 sewing patterns I want to make, I'm curating a list of knitting projects, fabric, high-street inspiration and sewing patterns. This knitting kit is high up on my wish list, it looks like a super easy knit and a snuggly comfy fit. It's the kind of cardigan I could see myself making in a bunch of colours once I have the pattern. I'd love it in lilac or red. The lovely people at Textile Express sent me this fabric last year. It's truly beautiful. Then The Dressmakers Ball came back so I decided I'm going to be using it for my dress in March. I have a few ideas in mind for what I'd like the final dress to look like, but keep your fingers crossed for me on this one! Cable knit is a technique I haven't tried yet and this bomber jacket pattern is pretty much all my knitting goals. I hope this year I'll get to grips with cable knit, and whilst this one might be out of my price range until the sales, I'll be keeping my eye on it. Perhaps I'll try a scarf in the mean time to practice the technique. 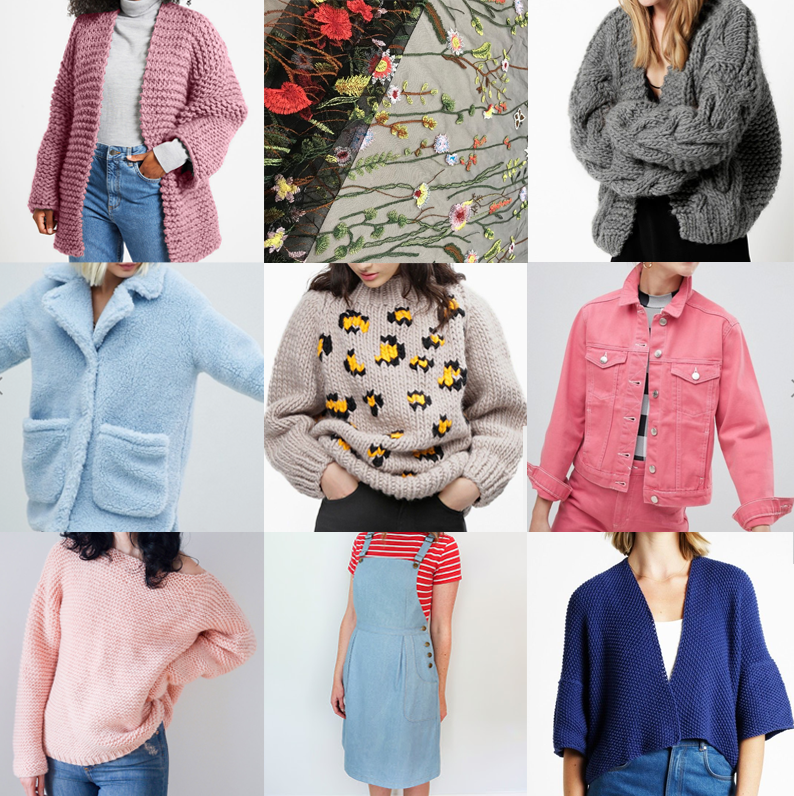 These snuggly teddy coats are all over the high-street at the moment, and I've almost bought one several times but had it in my head that I'd like to make one. I've got some dusky pink sherpa fabric on the way so I'm hoping I can finally put these plans into action before the Spring. I bought this pattern separately a while back when John Lewis sold WATG individual patterns. I can't wait to make it, I just need to decide on my colour palette and get my supplies. 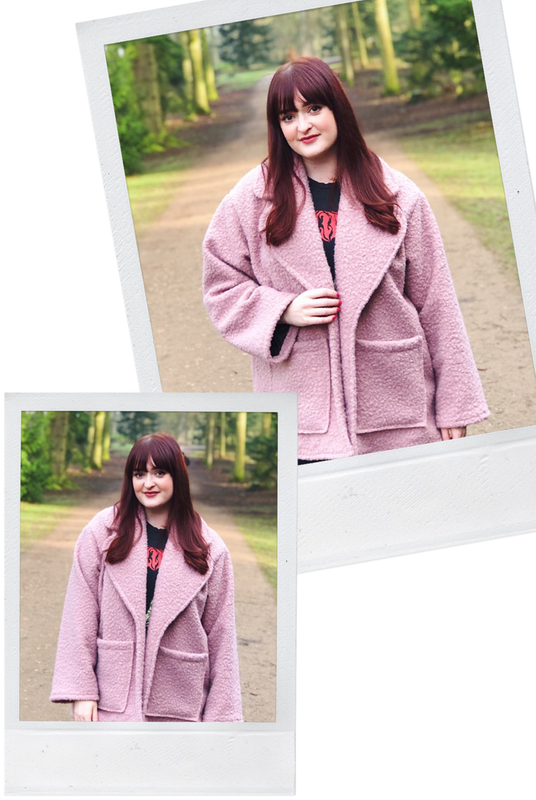 After a pretty successful Seamwork Audrey denim jacket last year, I'd love to make another for the Spring in a baby pink. I think it would look so good with red lipstick. Just a cosy, simple jumper that I can see myself living in. Perhaps a simple black one to start? This is a cardigan I've been working on. I've got the most beautiful white and black speckled yarn. It's a slow knit but hopefully it'll be finished by the end of 2019!